"This is an engaging concept--the cello acts as a link between the birds and industrial sounds, which in turn creates a relationship between the cello and field recording. 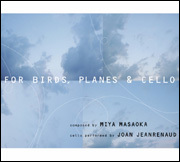 Thus, a double counterpoint: birds/planes and cello/field recording." -Norbert Schnell, researcher in sound and music, IRCAM. 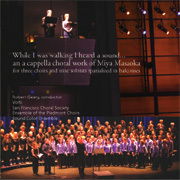 "It is unequivocally the most mesmerizing, haunting and wrenching piece of music I have heard in a long time...While I Was Walking is a non-negotiable item on my desert island list."